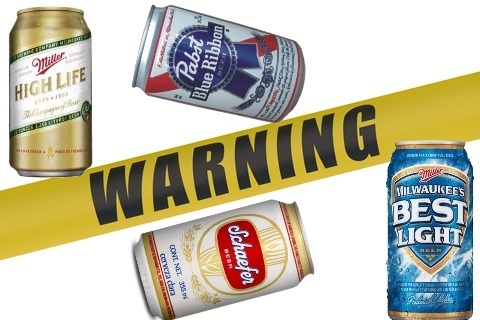 The Daniel Island Police Department has warned residents that teenage consumption of blue-collar beer is on the rise. Daniel Island officials are concerned if local teens continue to drink awful beer, they’ll abandon their life of privilege and enter the manual labor workforce. Authorities are scrambling to eliminate the threat before it gets out of control. A new Daniel Island group, MABB (Mothers Against Bad Beer), has been formed to combat blue-collar beer and its influence on the community. They hope they can positively impact their teenagers’ beer tastes early on so they can grow up to become successful beer snobs later in life. 2 Comments on "Daniel Island Police Warns Teen Consumption of Blue-Collar Beer on the Rise"
OMG, glad I saw this article. My grandson Johnny, after eating pizza with some of his BE friends at Orlandos Pizza, was caught outside the Volvo Stadium drinking “Bud Light Lime” of all things. We had to come and get him from the Daniel Island jail and we have since enrolled him in counseling for this very specific issue. Maybe a little Daniel Island diversity wouldn’t be so bad. On second thought, never mind.